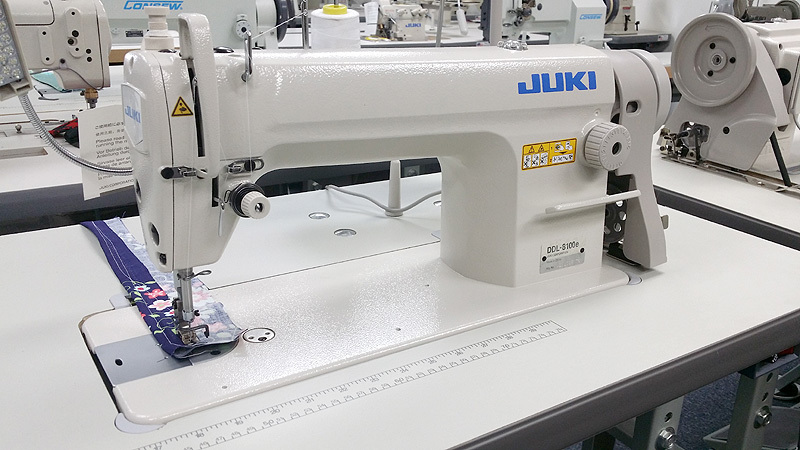 The Juki DDL-8100e industrial sewing machine is introduced by Juki as an economy product for sale in American market. By providing a presser foot with a higher lift(13mm), a light-touch stitch dial, and other easy-to-operate functions, the burden on the operator is lightened, and productivity is further increased. The Juki DDL8100e is provided as standard with extra attachment mounting seats for attachment of new auxiliary parts in the future. The extremely high durability of the seats ensures an extended service with frequent replacement of attachments. The head mounting hinge is located to prevent materials from being caught by it, thereby improving workability. The JUKI DDL-8100e is the best value for designers, home sewers, contactors, alteration shops as well as high volume production factories.